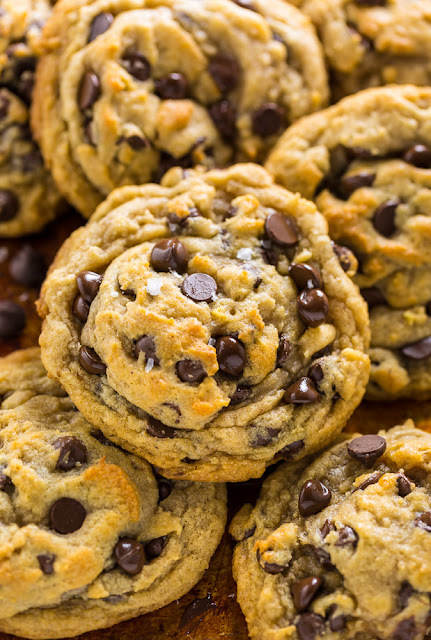 These Vegan Chocolate Chip Cookies are thick, chewy, and loaded with gooey chocolate. No one will guess they’re vegan! Cookies are one of my favorite things to bake, eat, and gift. There’s nothing like the look on someones face when you present them with a fresh batch of homemade chocolate chip cookies. Warm and sweet and gooey. Seriously… what’s not to love? More than a few of my friends live vegan lifestyles, inspiring me to create a chocolate chip cookie they can indulge in worry free. After exactly 7 recipes fails, these babies were born!!! And you guys, they are the most wonderful vegan chocolate chip cookies ever. REALLY!